Our all-time, best-selling onesie. Just wrap your baby, snap, and go! Kimono onesies are our favorite for babies under a year old. We particularly love kimono onesies for babies before they start crawling. 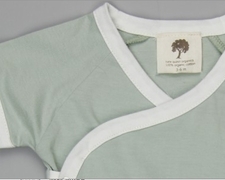 For the newborn, consider registering for or purchasing a total of 8-10 onesies in 0-3 and 3-6 month sizing. 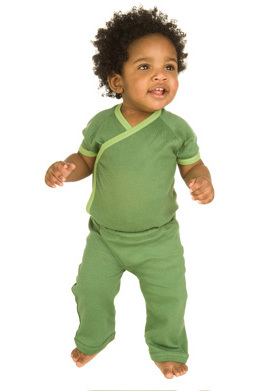 (Check out our other styles of onesies--including the long-sleeve kimono onesie, long-sleeve lap neck onesie, and short-sleeve lap neck onesie--for a little variety.) 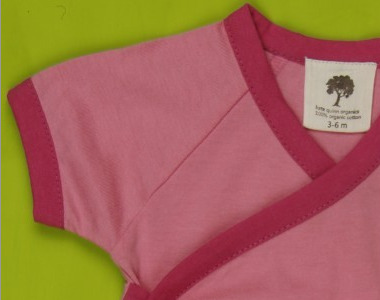 These onesies are also great for the older baby--perfect for both daytime and nighttime dressing. Coordinating Kate Quinn organic cotton pants are also available. 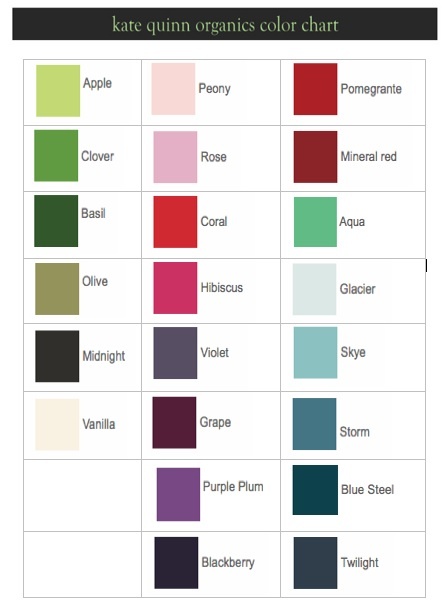 Safe, Non-Toxic Dyes and Nickel-Free Clothes: Kate Quinn Organics uses dyes that are chemical-free, naturally reactive colors. These dyes are free from heavy metals and halogens. In addition, the bodysuit's snaps are nickel-free. Nickel can cause skin allergies when it contacts skin, and nickel dust from the refining and processing of nickel can cause cancer and breathing problems among nickel refinery workers.